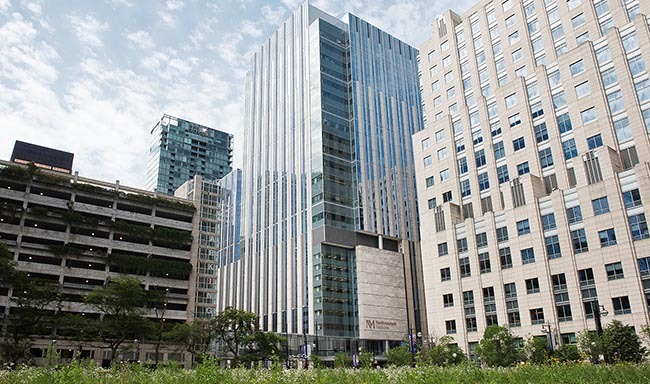 The Lavin Family Pavilion offers a world-class environment, conveniently located in the heart of the Northwestern University downtown medical campus, home to Northwestern Memorial Hospital and Northwestern University Feinberg School of Medicine. The pavilion is a state-of-the-art medical facility that responds to the growing need for quality healthcare in the Streeterville community and ensures that residents will have ongoing access to the best of medicine in their own neighborhood. Lavin Family Pavilion offers several amenities, including flower and gift shops, online services, and food and beverage options, for your convenience. Download our Services and Amenities Map.